You are currently browsing the tag archive for the ‘Persephone’ tag. Aside from the disturbing tale of his coercive romance with Persephone, there aren’t many myths about the underworld god Hades’ love life…but there is one weird love triangle story. The river Cocytus flows underground for part of its course. Because of this it was strongly affiliated with the underworld in Classical thought. There is a story about this—and an origin myth for one of our very favorite garden herbs. 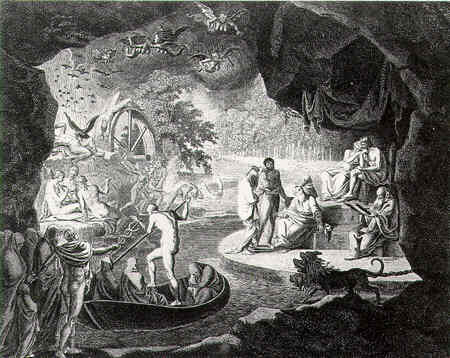 One of the river nymphs of the Cocytus, Minthe had a peculiar temperament. Because of the geography of the river, she spent part of her time in the shady realm below, and there the gorgeous river maiden became enamored of Hades. Some mythmakers speculate that her affection was really for his wealth, power, magic, or for his splendid chariot of chthonic jewels, but, whatever the case, Minthe devoted all of her beauty and wiles to beguiling the god (who usually received scant positive attention). Minthe would probably have succeeded in seducing the lord of the underworld but his wife Persephone chanced upon the scene. The goddess may or may not have cared for her dark husband, but she was certainly a jealous queen! 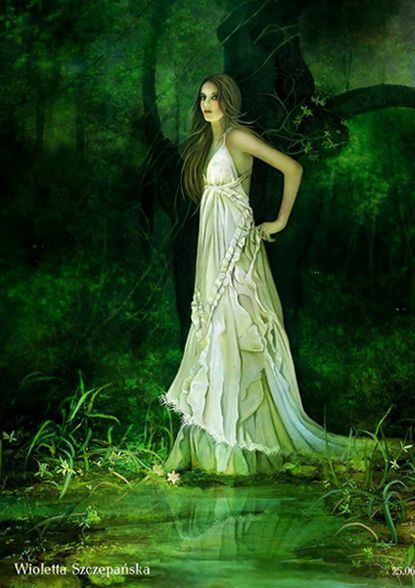 Using her own dark magic, Persephone transfigured Minthe into a weed…but the divine beauty, attractiveness, and sweet smell of the naiad stayed with the plant, and thus was mint created. The story makes even more sense in a Greco-Roman context when mint was used in funerary rites to disguise the scent of decay. The herb was also a main ingredient in the fermented barley drink called kykeon, which seemingly was the principal potable associated with the Eleusinian mysteries. Based on accounts of the shadowy rights, it seems like this beverage had more than beer and mint in it and included some really strange psychoactive ingredients. Yet mint itself has some powerful active ingredients, and we are coming to believe it is a more powerful stimulant than initially thought. 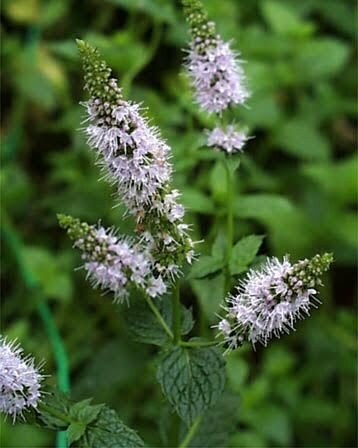 Indeed mint has an ancient heritage as a medicine, flavoring, and crop. The beloved plant merits more explanation than just this strange underworld myth—so I will write the second half of this post tomorrow! This blog has addressed many different deities of the underworld, but one of the most important figures of classical Greco-Roman underworld mythology has been left out. 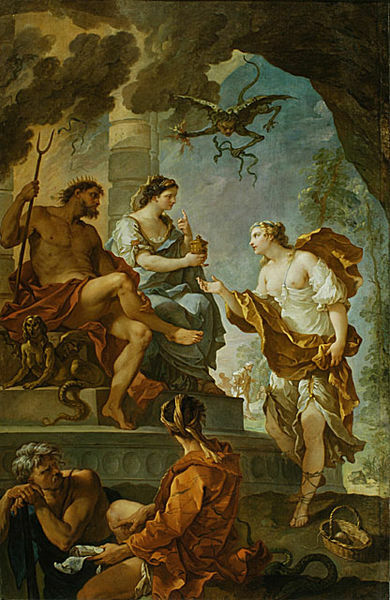 Persephone (or Proserpine to the Romans) was the queen of the underworld, the reluctant consort of Hades who ruled over a dark and mournful kingdom (as pictured above). However Persephone was one of the few figures in classical mythology who could leave the underworld. Like her mother Demeter, Persephone was a vegetation goddess—a deity that dies and is reborn with the annual growth cycle of plants. Persephone was not just the queen of the underworld, but also the goddess of spring. When she emerged from the underworld, winter ended and life begin to grow and flower again. 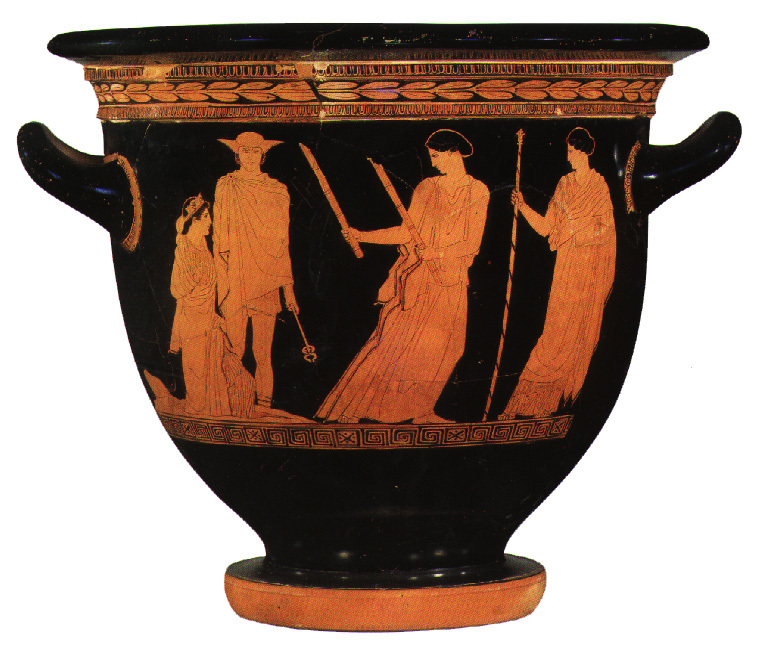 The vase below shows her returning with Hermes from the dark realm so that spring could once more come and winter’s darkness be banished for another year. 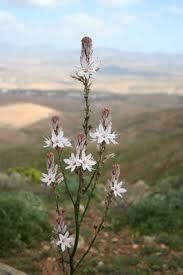 Asphodels are a genus (Asphodelus) of small to mid-size herbaceous perennial flowers. Originally native to southern and central Europe, the flowers now grow in other temperate parts of the world thanks to flower gardeners who planted them for their white to off-white to yellow flowers and their eerie grayish leaves. These leaves have long been used to wrap burrata, a fresh Italian cheese made of cow’s milk, rennet and cream—when the asphodel leaves dried out the cheese was known to be past its prime. 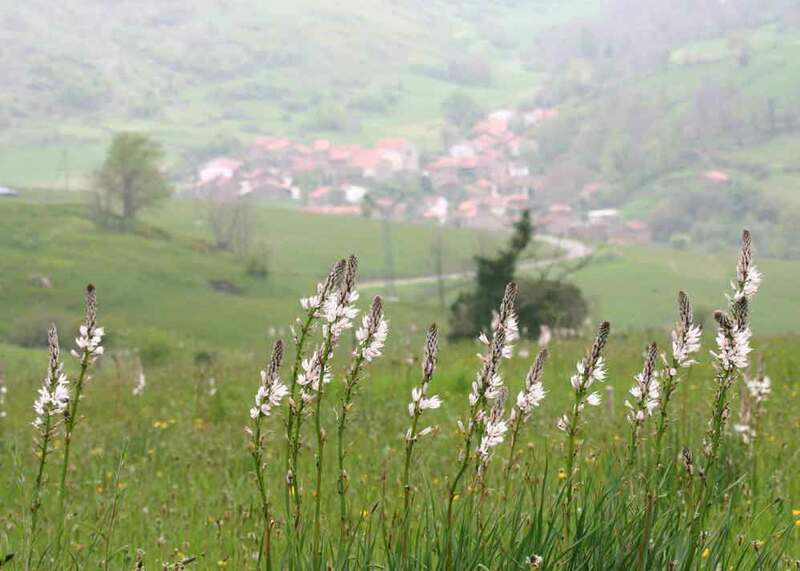 The bulblike roots of asphodel are edible and were eaten by the poor during classical antiquity and the middle ages until the potato was introduced to Europe and supplanted asphodel completely. Largely a grey and shadowy place, the Underworld was divided into three parts. Most souls went to the “Plains of Asphodel,” an endless stretch of twilit fields covered with grey and ghostly asphodel flowers, which the dead ate. A very few chosen by the gods spent their afterlife in the “Fields of Elysium,” a happier place of breezy meadows. But if the deceased had committed a crime against society, his/her soul went to Tartarus to be punished by the vengeful Furies until his debt to society was paid, whereupon he/she was released to the Plains of Asphodel…. Souls of the dead were only a pale reflection of their former personality, often portrayed as twittering, bat-like ghosts, physically diaphanous and insubstantial. The gray and ghostlike nature of the asphodel plant and its wistful off-white flower may have suggested something funereal to the ancient Greeks. Or possibly the plant’s connection with the afterlife was a hand-me-down from an earlier culture. In fact here is a learned and comprehensive scholarly essay which posits that the asphodel had pre-Greek religious significance. Whatever its history, the Greeks also regarded the plant as sacred to Persephone/Proserpine, who is frequently portrayed wearing it or picking it, as well as to other chthonic deities. 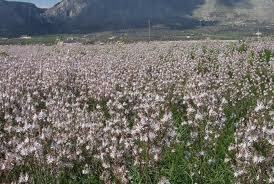 Greeks and Romans planted asphodel on tombs both for its melancholy beauty and as a sort of food offering to the dead. So the cemeteries of classical antiquity were lugubrious but pretty places filled with ghostly flowers. as this thing is shaped? to make it wholly credible. During my break from blogging, I visited the Getty Villa on the Malibu coast, which has a tremendous collection of Greco-Roman objects from the classical and pre-classical eras. 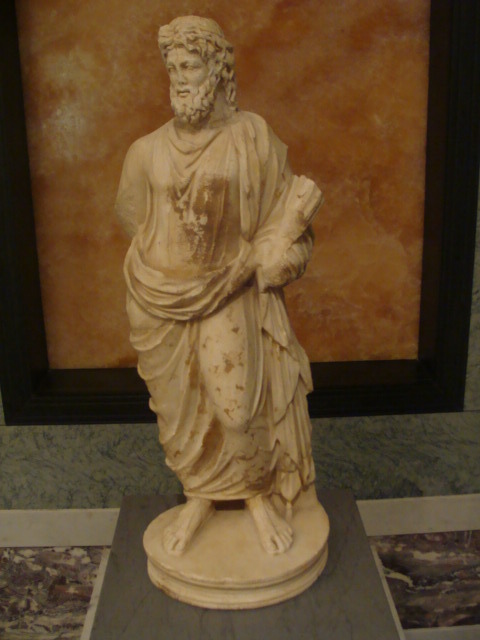 One of the more lovely artworks in their collection was this first century Roman statue of Pluto carved from marble. Like Poseidon, Pluto/Hades was the older brother of Zeus. When he was born he was consumed by his father Cronus. Once rescued from that predicament by Zeus’ cunning, he joined his siblings in the terrible war against the Titans. When the Olympians were triumphant, Zeus gave Pluto suzerainty over the underworld, the dead, and all things within the ground. Although Pluto appears in many myths, the most important story about him concerns the manner by which he obtained a spouse. The other deities feared and avoided Pluto, who was solitary and gloomy. The goddess Demeter, the goddess of growing things, had a radiant daughter named Persephone, a maiden of unsurpassed loveliness. One day, as Persephone was gathering flowers, Pluto opened a chasm in the world and drove up from the darkness in a chariot drawn by midnight black horses. The god of the underworld captured the trembling girl and bore her down to his opulent palace in the land of the dead. No longer a maiden, Persephone took no joy in the rich jewels and precious metals of Pluto’s great mansion. The only consolation to her was the dark garden of the underworld where she beguiled her time surrounded by the silent weeping shades of the dead. Although Zeus had consented to this arrangement, even he was unprepared for Demeter’s wrath. 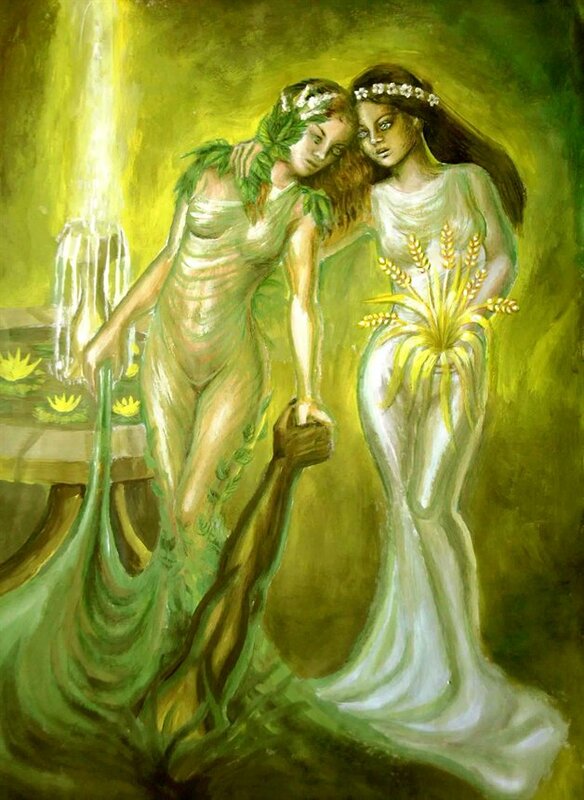 She withdrew her gift of fertility from the world (a theme seen in both the story of Psyche and the myths concerning Oshun, an Afro-Brazilian love goddess) and everywhere people and animals starved. 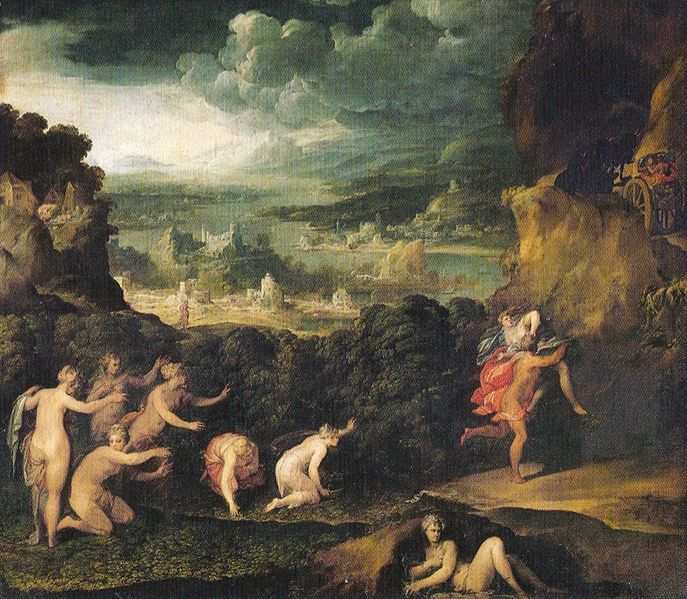 The world began to wither into a lifeless desert and Zeus was forced to send his messenger, Hermes (Mercury), to retrieve Persephone. But, while in the garden of the underworld, she had eaten four seeds of a pomegranate. Thereafter she was forced to return to the underworld for four months of the year to rule beside Pluto as queen of the dead. Statues of Hades/Pluto are much less common than statues of the other Olympian deities. Greeks and Romans feared drawing his direct attention but they also feared to anger him by not sacrificing to him in worship. There were therefore a number of euphemisms for the deity such as “rich father” or “giver of wealth”. Additionally, since Pluto ruled all things under the ground, the Plouton identity, seen in the statue, came to be associated with wealth and with agricultural fertility–after all, gold and jewels came from the ground—as did life-giving crops. The Eleusinian Mysteries celebrated a more positive aspect of Pluto–as the god of wealth and the spouse of the life-giving Persephone. It was believed that initiates of these mysteries would enjoy Persephone’s favor in the underworld and would be granted access to the beautiful glowing fields of asphodel which she planted in the underworld.